Yeah. Two days without blogging. 1st of May is a public holiday (labour day) but I was busy with my personal activities. In the morning, went to BCM Day with my friends. There were food on sales, books, souvenir, charity and fun fair. Then to PJ, for lunch. 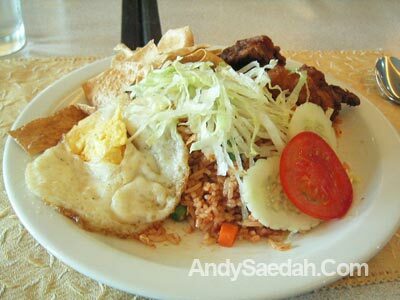 I ordered Nasi Goreng Bandung. Speechless taste. 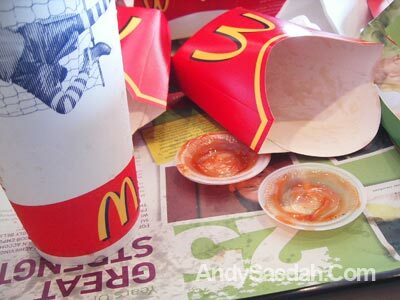 Few hours later, to Mc D for “Tea Time”. 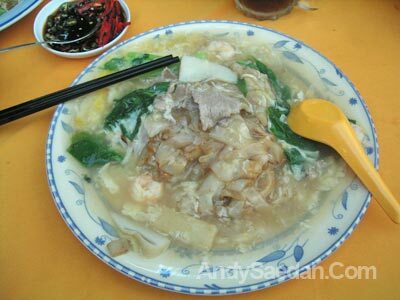 Haha..
Then, to Glenmarie for Seafood Wa Than Hor. Oh, forgot to tell. 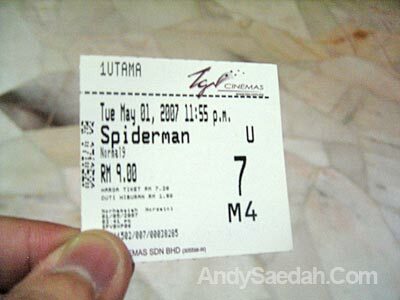 I also went to watch Spiderman 3 in TGV One Utama, midnight show. SUPERB MOVIE. Enough said. I had my great time, definitely. Yearhh.